We are very grateful to the parents of Eleanor in Sapphire Class who have very kindly donated a collection of BBC Wildlife magazines to the school. These are now in the school library and available for our children to browse during lunch times and their weekly library sessions. 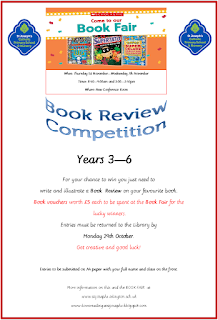 The winning Book Reviews are now on display in the library. Please drop in and take a look at this brilliant work. Also some Book Reviews of the excellent runners up are on display. It was so difficult to choose the winners as they were all so good. 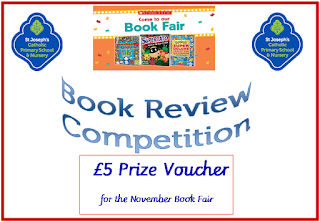 The winners of the Book Review Competition have now all received the books they selected from the Book Fair. Tiannah from Amethyst Class receiving her prize. Rose from Indigo Class receiving her prize. St Joseph's recently donated a selection of second-hand books to the Elora Destiny International School in Oyigbo, Nigeria. 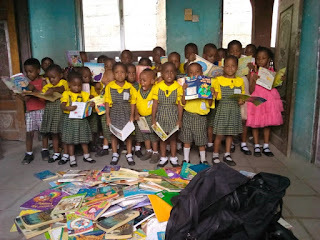 This was kindly organised by Miss Chinwenwa Ubani, mother of Callistus (Red Class) and Assumpta (Sapphire Class). 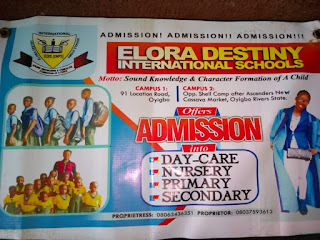 They have sent us their appreciation for the books and we are very pleased that they are enjoying them. 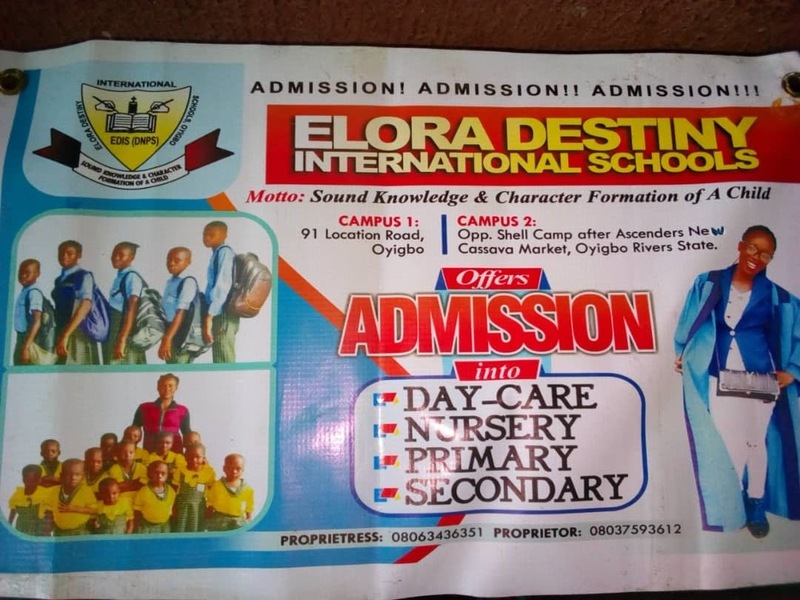 We wish all the staff and children at the Elora Destiny International School well. The winners of our BOOK REVIEW competition have been chosen and during our Monday assembly they were presented with their prize of a Book Voucher. Each winner will get to choose a book which will be ordered especially for them. The entries were fantastic and it was extremely difficult to choose the winners. We will be displaying a selection of book reviews in the library for everyone to enjoy! Drop-in and take a look!